Sony Music has announced it will start pressing its own vinyl releases again for the first time since 1989. The company will resume in-house domestic vinyl production at a Japanese factory south-west of Tokyo by March 2018. Sony Music is one of the big three global record companies. 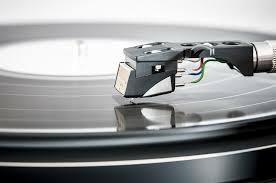 At one time, the vinyl format had been expected to disappear after the rise of CDs, digital downloads and streaming. During vinyl’s long decline from the late 1980s onwards, many record factories closed down, with production confined to a few specialist independent companies. However, this year, global vinyl revenue is expected to hit $1billion, with many consumers swearing by its supposedly superior sound quality. Sony Music’s move comes a few months after it equipped its Tokyo studio with a cutting lathe, used to produce the master discs needed for manufacturing vinyl records.